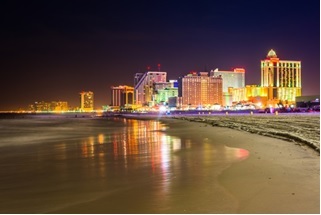 Legalized online gambling in New Jersey has become a success as Atlantic City struggles. Online gambling continues to exist within a murky, gray legal area that usually forces bettors to play through off-shore websites due to the restrictions and loopholes present in the Unlawful Internet Gambling Enforcement Act. While this option is popular and well-utilized, bettors in Delaware, New Jersey, and Nevada actually get to enjoy the experience of legal gaming in-person. Pioneers in state-run, online gambling, these three states have taken on the brave, new world of betting on the Internet in order to capture the dollars that were going to offshore sites. The experience is still new, but it seems to be working out satisfactorily — with a few hiccups and disappointments. Ten more states are considering measures that would allow online gambling, but they are holding off for the moment while they gauge the success of the three states trying their luck. For online bettors everywhere, the fate of online betting rests almost entirely in the hands of Nevada, New Jersey, and Delaware. Here’s a closer look at how legal, online gambling is going in each of these pioneering states. New Jersey has long been acquainted with gambling, and in true Jersey fashion has made a wide range of casino games available to the online bettor, so long as he or she is within state lines and over the age of 21. Since gambling has been a part of New Jersey for over three decades, its foray into the online version can seem less than newsworthy, but with brick and mortar casinos in Atlantic City struggling, the move has seemed like a wise one. The state’s casinos have seen a considerable financial dip as neighboring states put up competing casinos, and offshore legal gambling sites attract more and more bettors. In an attempt to shore up declining gambling revenue and the casinos behind most of that revenue, the new state-sanctioned online sites can only operate through the casinos. So, how’s it going? Since it started allowing and regulating betting on the Internet, New Jersey has generated roughly $11 million each month, and while that falls short of the projections of $1 billion that the state was banking on, it’s still helpful money for a cash-strapped state. Unfortunately, because New Jersey was expecting much higher revenues, the initial rollout has been largely deemed a failure.